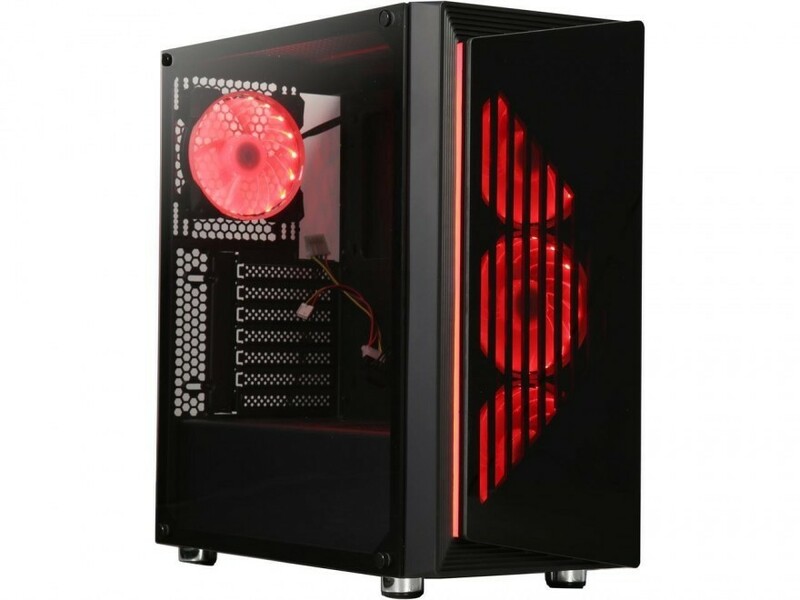 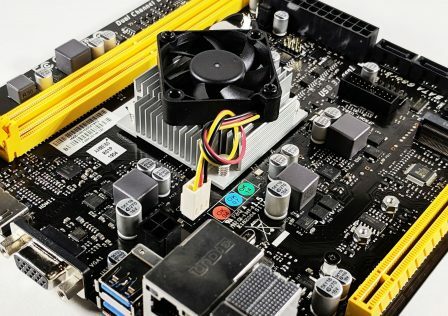 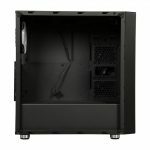 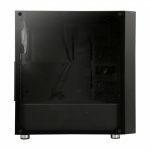 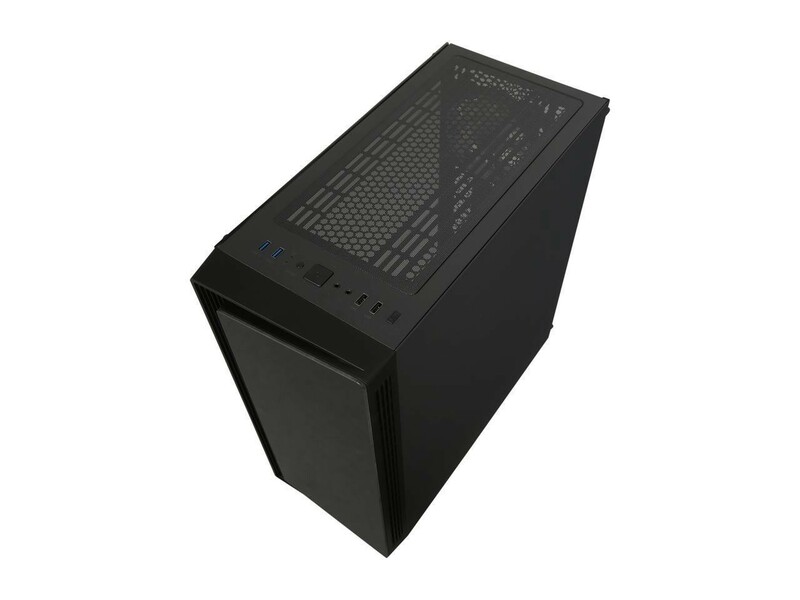 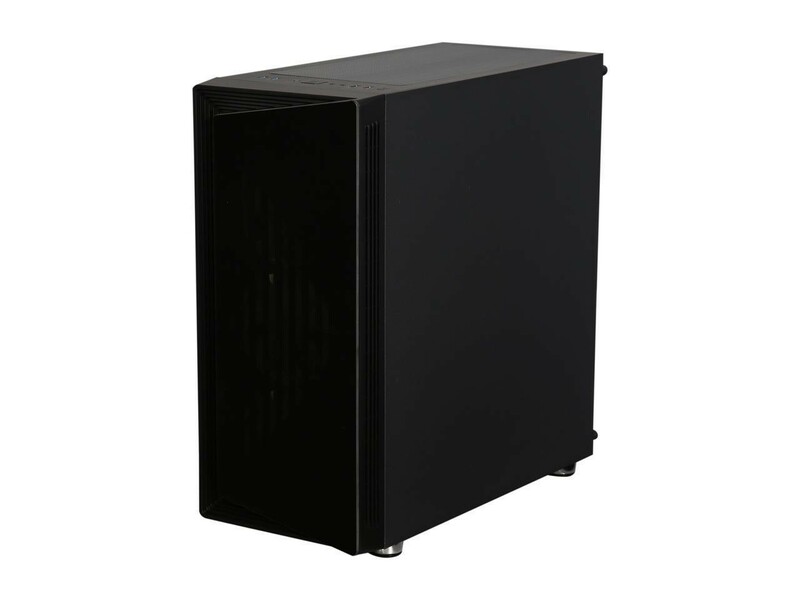 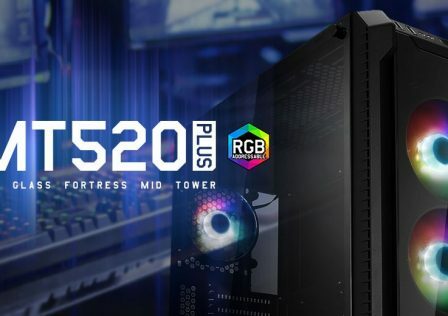 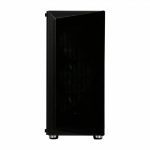 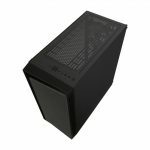 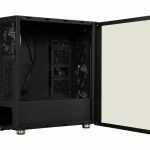 DIYPC has just expanded its current case lineup by launching its latest mid-tower gaming PC case, the DIY-SD1-RGB. 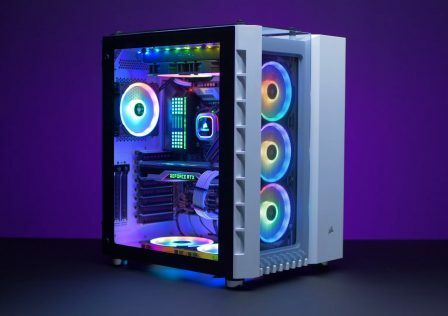 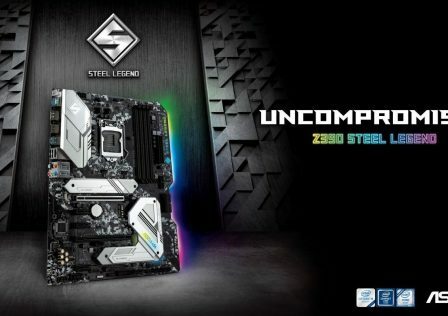 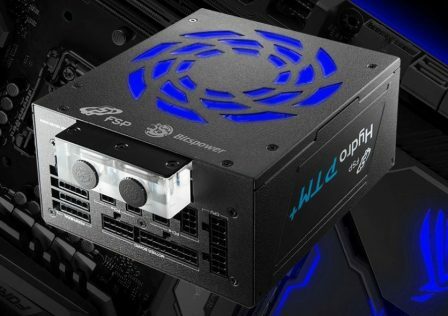 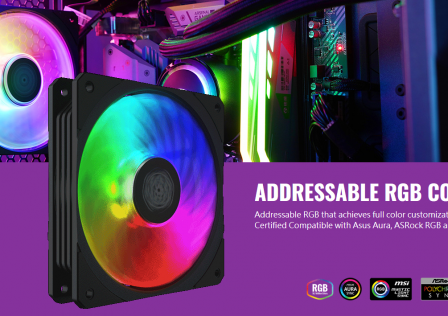 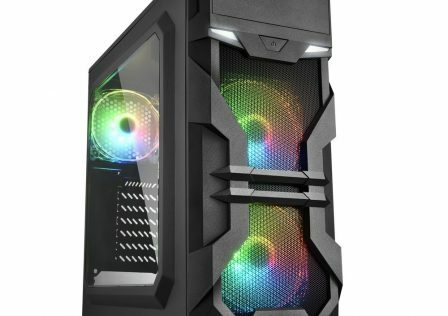 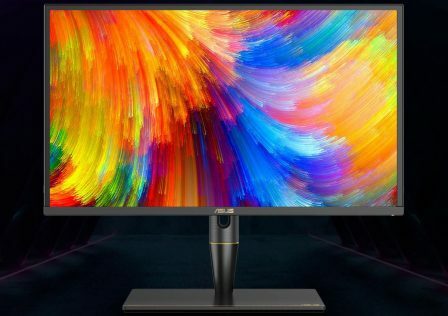 The new chassis features aggressive styling and RGB lighting provided by four included addressable RGB fans, three of which are visible through the front panel, and another to act as a rear exhaust fan. 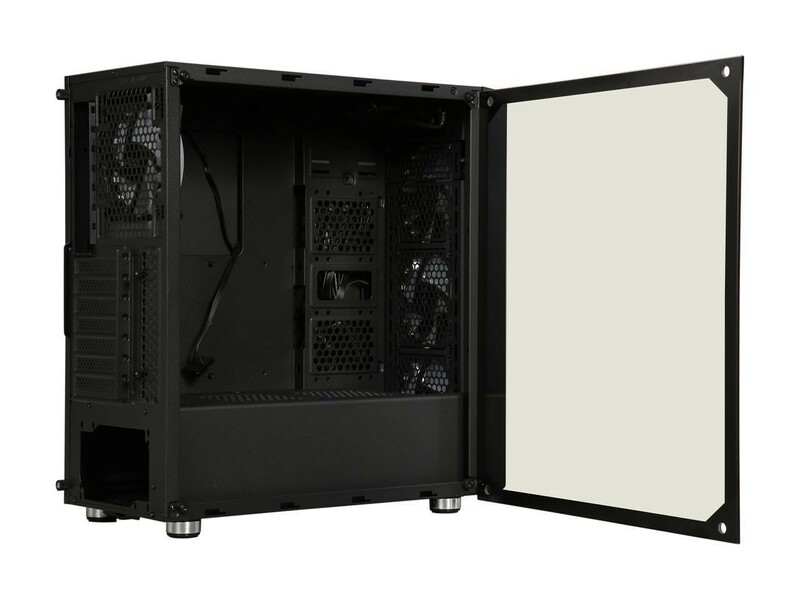 Both the front panel and left side panel are constructed from 4mm tempered glass. 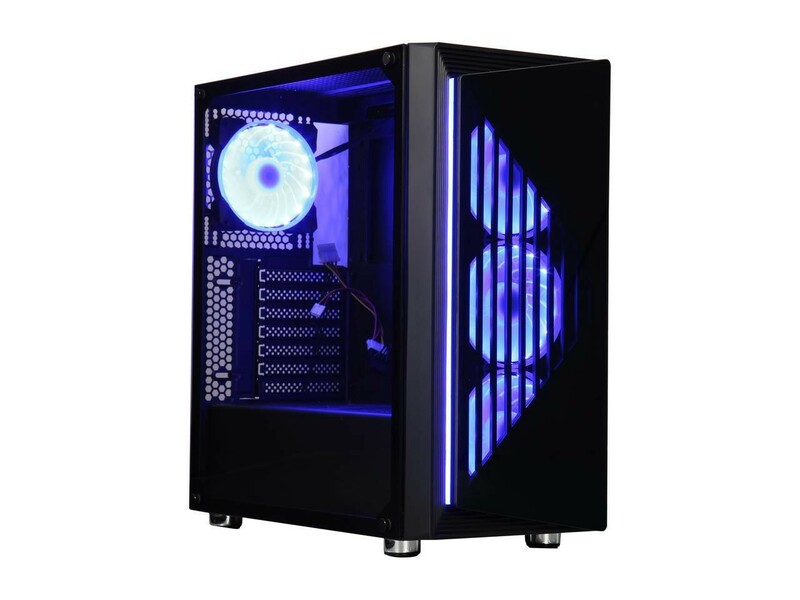 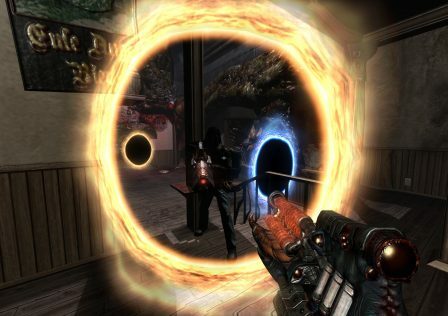 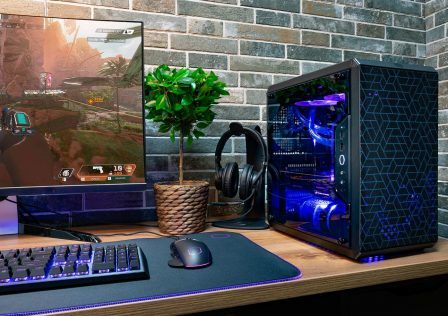 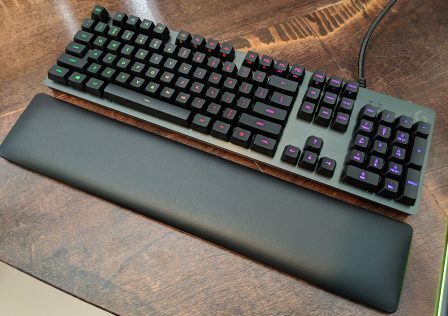 The glass is slightly tinted or smoked to add a little bit of stealthiness to the overall look while allowing RGB lights to easily shine through. 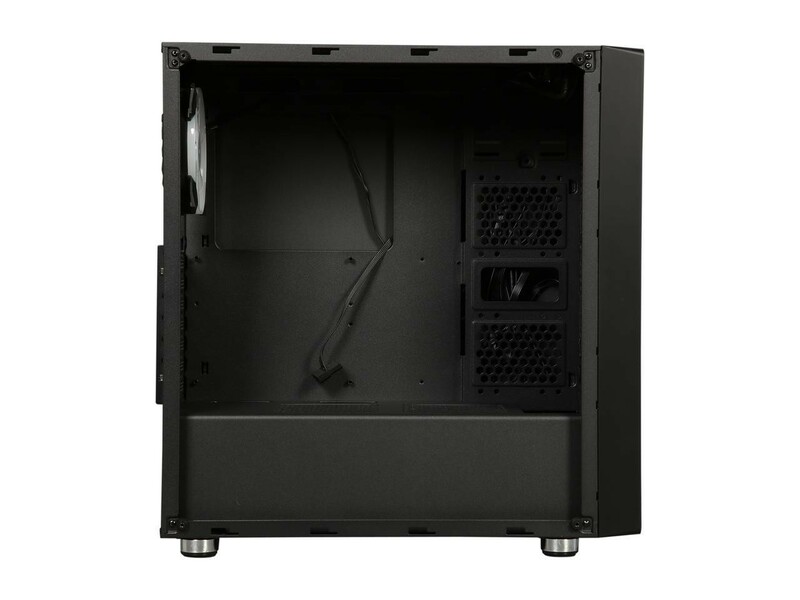 The inside of the case is partitioned by isolating the PSU and drive bays away from the motherboard area. 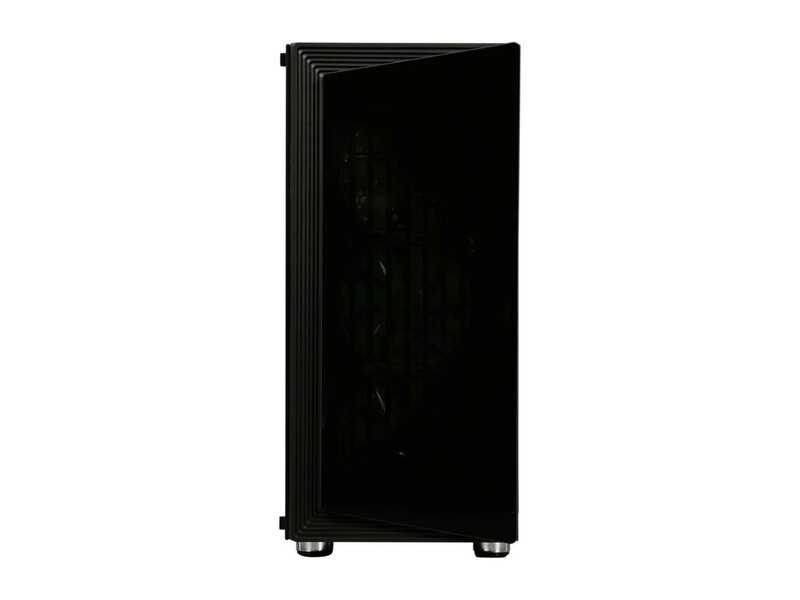 This helps regulate airflow by reducing unwanted heat transference in between components. 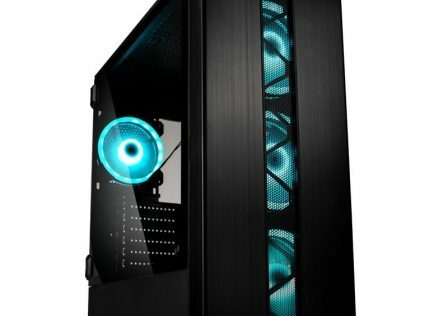 The included four fans should provide enough cooling for most systems. 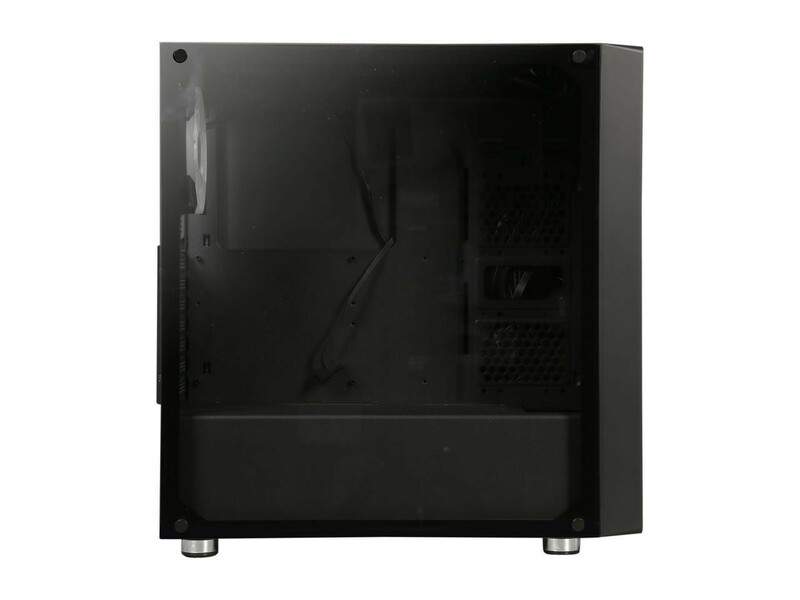 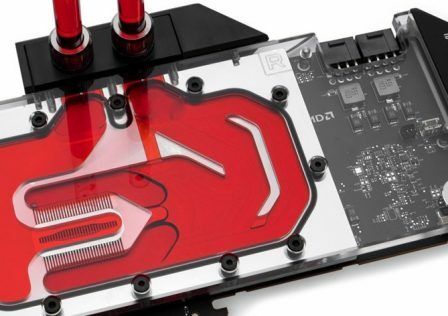 If water cooling is your jam, the case features support for a single 240mm radiator mounted in the front of the system. 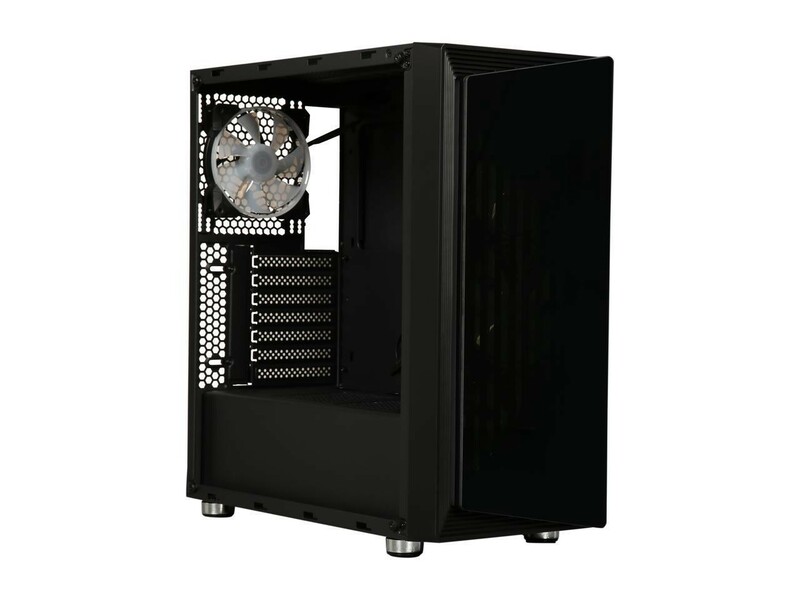 Overall, the case can easily support up to eight 120mm fans, with dust filters available on the bottom and front intake areas. 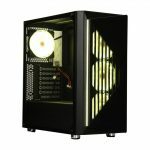 More information about the DIYPC DIY-SD1-RGB case can be found over at DIYPC’s product page. Manual button or motherboard controlled RGB lighting strip and fans.